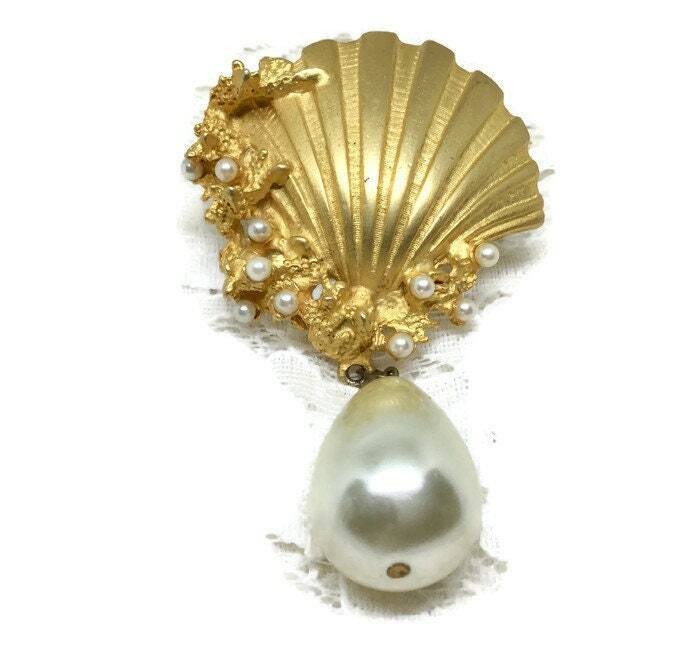 This is a marveous unsigned goldtone clamshell brooch. 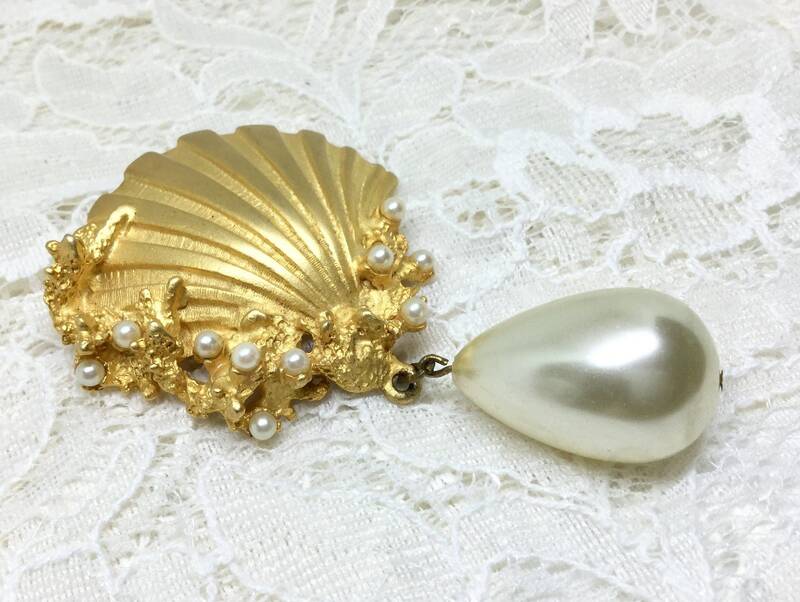 The goldtone clamshell is nicely textured to mimic a real clamshell. 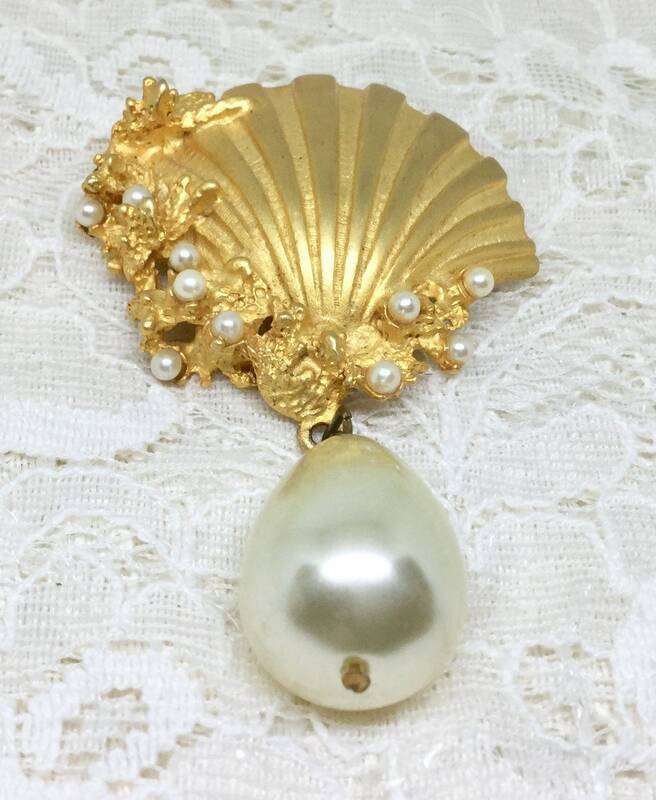 It has on the top and one side goldtone dimensional coral accented with smaller round faux pearls. 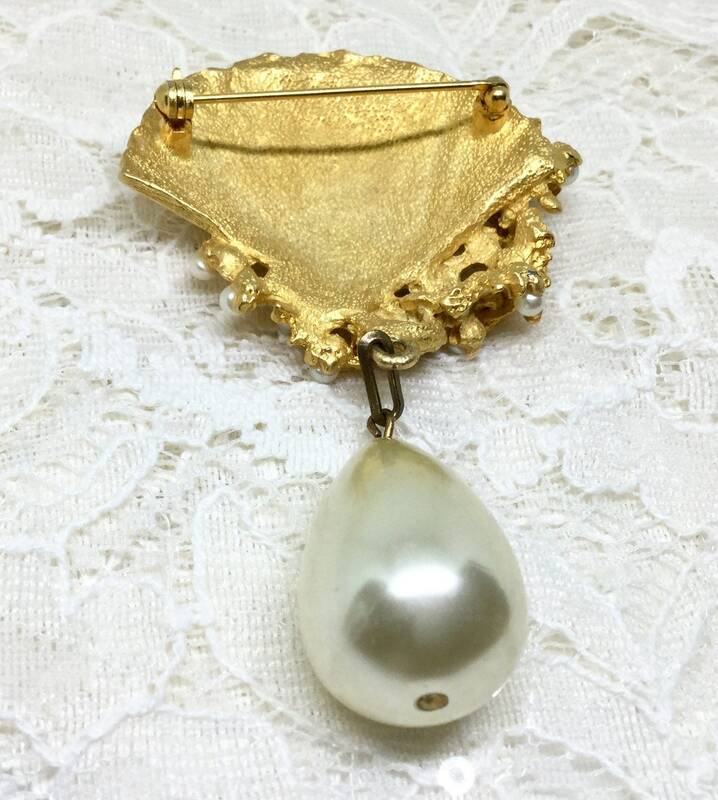 Hanging off the bottom is a very large teardrop faux pearl. 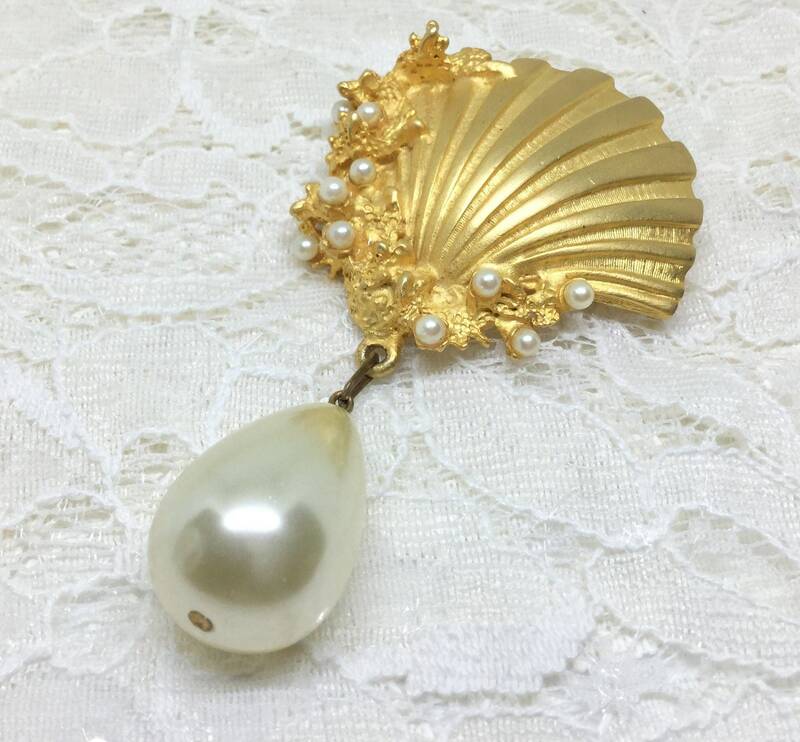 It measures 2” x 3” including the pearl drop. The pin back is straight and works smoothly and securely. It is in great shape and would be quite a conversation piece!